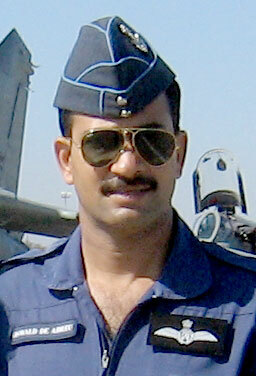 Wing Commander Oswald de Abreu, was born on November 29, 1970, and was brought up in Goa, India. 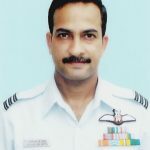 Wg Cdr Oswald completed his high school from Don Bosco in Panjim and then proceeded to study a degree programme in Zoology from Dhempe College in Miramar. 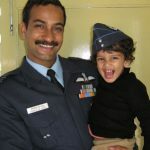 Soon after graduation, Wg Cdr Oswald cleared the Combined Defence Services Entrance exam and was selected to join IAF, as a pilot. 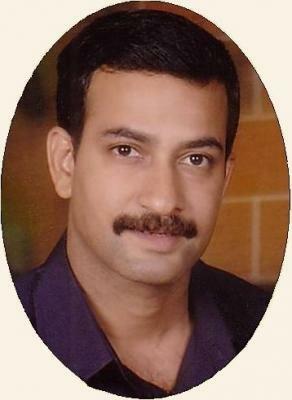 Upon completion of training at the Air Force Academy at Dundigal near Hyderabad, he was commissioned as a fighter pilot in IAF on June 21, 1993. During his service, Wg Cdr Oswald flew various fighter aircraft like MiG-21s, MiG-27s and the trainer aircraft HJT-16. 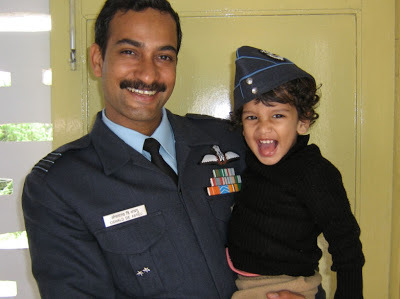 He was a Qualified Flying Instructor (QFI) and trained many young cadets to become pilots in the IAF. For his hard work and dedication towards service, Wg Cdr Oswald had received commendation by the Chief of Air Staff on January 26, 2000. 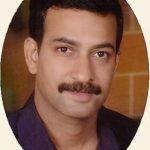 He was also a graduate of Defence Services Staff College, which is a prestigious tri-service defense services institution. Wg Cdr Oswald was also chosen to lead a delegation of IAF to the Republic of Singapore Air Force (RSAF) to view and fly their fighter aircraft. Wg Cdr Oswald also served as Flight Commander of 222 Sqn, aptly named “The Tigersharks” an esteemed Fighter Squadron of IAF. The motto of the squadron “Vinashay Dushkrtam” meaning “Destroyer of the Evil”, exemplifies its role, as capable of inflicting a mortal blow to its prey without remorse of fear. 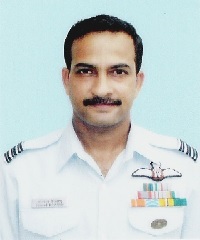 On 16 Feb 2010, Wing Commander Oswald de Abreu was tasked to carry out an operational mission from Air Force station Hashimara to Bagdogra. 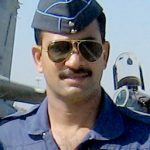 Wg Cdr Oswald took off in his MiG-27 fighter aircraft from Air Force Station Hashimara, but within minutes, he reported the fire in the engine and crashed within the airbase at about 2.15 pm. Wg Cdr Oswald was an experienced pilot capable of handling various emergencies but did not get enough time to land safely due to sudden fire in the engine of the aircraft. Wg Cdr Oswald besides being an ace fighter pilot with over 15 years of flying experience was a dedicated soldier too. Wg Cdr Oswald served with utmost sincerity and laid down his life in the service of the nation. Wing Commander Oswald de Abreu, is survived by his wife Janice and children Nadia and Nathan, brother Orlando and sisters Claret and Marina who stay in Canada and UK respectively. Rest in peace.. It’s because of these few good men and women we live in peace..
One of the Thousand Goans who Did Great for India . Salute!!!! Sir, you will always be with me in my thoughts. I can never forget the days when you guided me in my job and stood by me and gave me the strength which took me to the heights of my career. I miss you sir.